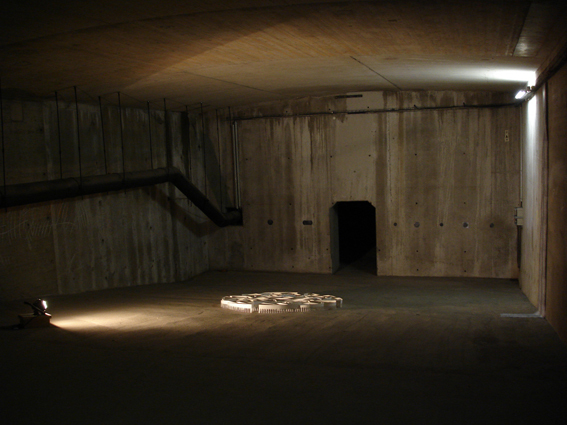 From Here to T/here was a temporary installation for the interior tunnel space of Deutzer Bridge across the Rhine in Cologne. 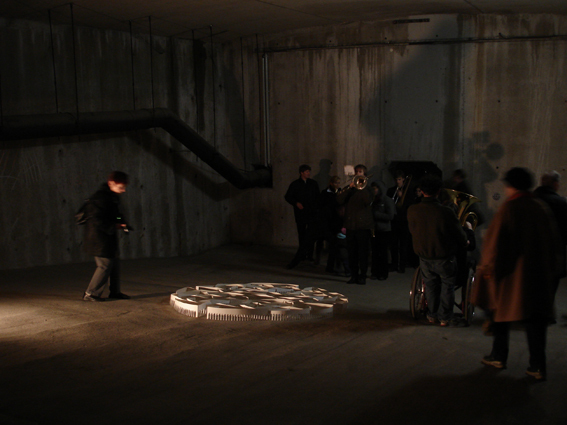 It was part of the group exhibition "Ueber m/n Fluss" in 2007. 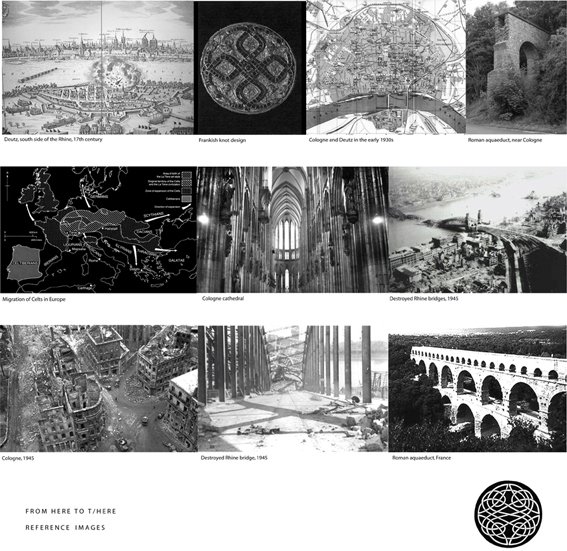 Research into the history of the city of Cologne brought together images referring to ideas of connection and disruption, conflict and renewal, circulation and transport, migration and exchanges, passages through and over, water, and eternal life. 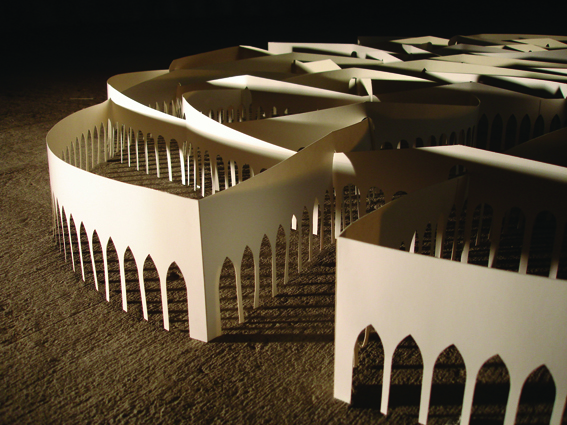 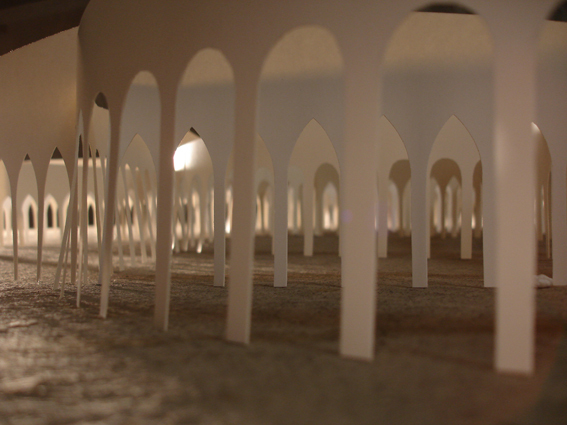 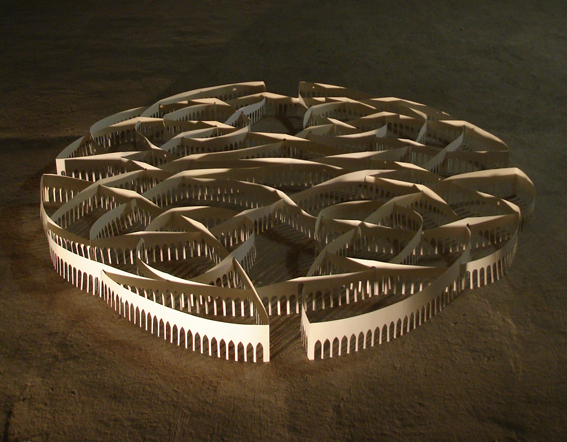 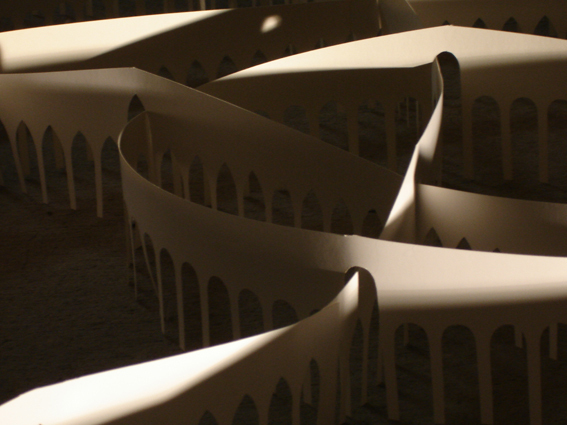 Based on a modern design of a celtic knot, a symbol for eternity, the final installation included an endless bridge made of paper, its gothic and romanic arches echoing Cologne's ancient architecture as well as its bombed ruins, weaving over and under each other, hinting at the shape of a city made of aquaeducts, a labyrinth of paths and walkways leading from here to t/here.